The next-generation Sonata sedan will go global, but the new wagon likely won't come to North America. The world hasn’t gone completely SUV crazy just yet. Korean Car Blog has a source with some info on Hyundai, specifically with regards to the Sonata. The next-generation sedan will reportedly grow a longer roof, adding a full-fledged station wagon to the automaker’s European lineup. If you’re reading this in Europe and wondering about the Sonata in the first place, that’s another bit of interesting news. Hyundai is following a similar path from other manufacturers by going global with select models. In this instance, the Euro-spec i40 – which already shares its platform with the Sonata – will be going away in favor of the new car. Station wagons are still very much in favor throughout Europe, notably in Germany and Scandinavia, and it seems Hyundai is keen to grab a slice of the action. The next-generation Sonata sedan is currently in-development, though admittedly we haven’t seen many prototypes testing in public. The car gained a refresh for the 2018 model year so the next-gen Sonata is likely still in the early testing phase. 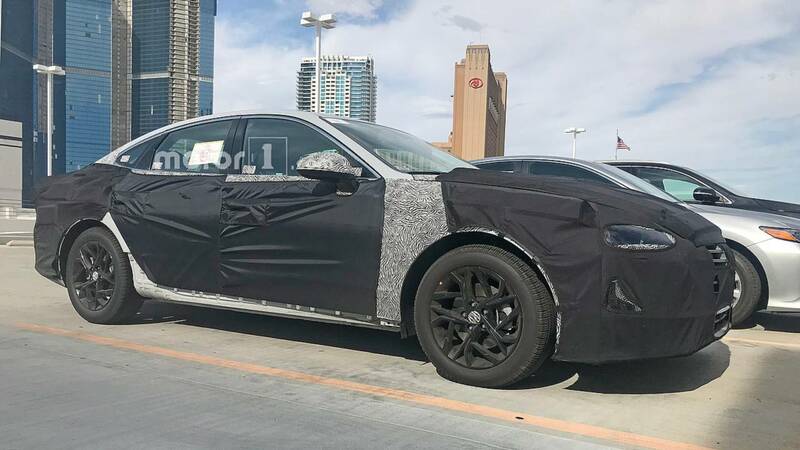 We caught a heavily camouflaged prototype back in June (pictured above and at the top of the page), suggesting some significant changes to the sedan’s overall appearance are coming. If there was ever a time to add a station wagon to the mix, this would be it. Unfortunately, wagon fans in the United States will almost certainly miss out on the fun. SUV sales are increasing by double-digit percentages in the North American market, while sedan sales are falling just as fast. Given recent announcements by both Ford and General Motors to drastically scale back on sedan production, it might be fortunate that that next-generation Sonata will go stateside even in sedan form. A specific timeframe isn’t yet known for either the Sonata sedan or wagon. It’s believed the Sedan will arrive in 2020 as a 2021 model, with the wagon possibly launching at the same time.